Compagnia Italiana Ecologia (CIE) has more than 30 years experience in design, development, manufacture and installation of water and waste water plants specifically dedicated to metal finishing line. The company has a reference of many customers in Africa and at the moment their Waste Water Treatment plants have been installed in Angola, South Africa, Egypt and Sudan. For each of these operations, C.I.E. has detailed expert knowledge and experience. With background knowledge of the chemical composition of typical working baths, C.I.E. can offer different Plants for many metal finishing industries. Some of the popular products that are sold in Africa comprise of Waste Water treatment plants, Deionizing Units, Reverse Osmosis, Evaporators, Acid recovery units and Zero Liquid Discharge plants. 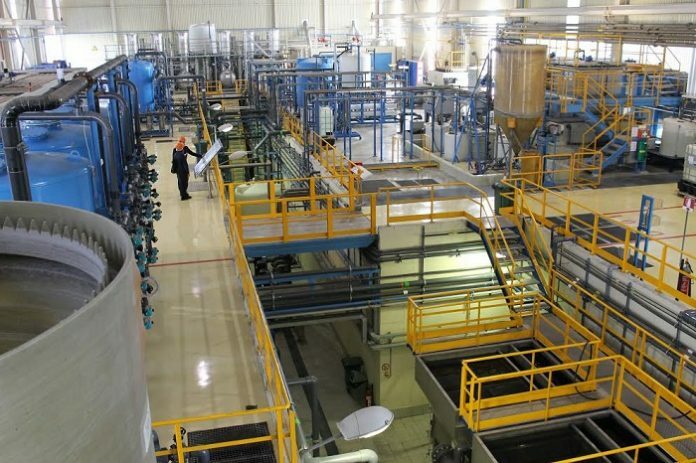 Being one of the European leaders in Water Treatment and Reuse (Zero Liquid Discharge) for metal finishing lines, they have continually invested in Zero Liquid Discharge technologies which are of strong interest for African companies because they overcame problems of fresh water availability and sometimes lack of sewer network. The newest technology developed by CIE are Waste Water Treatment plants that can generate water suitable for irrigation or that can be dump in river and lakes without problems.